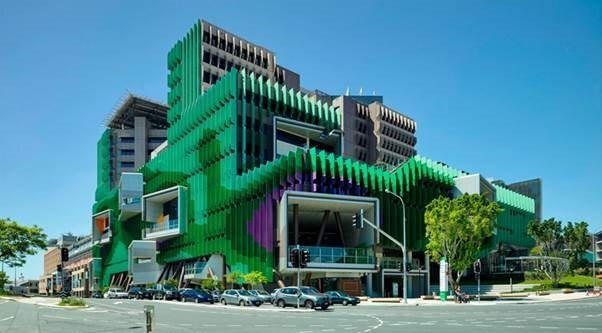 At the 2015 Queensland State Architecture Awards, the Lady Cilento Children’s Hospital (LCCH), was announced the big winner, receiving multiple accolades including the F D G Stanley Award for Public Architecture along with the Karl Langer Award for Urban Design and the Art & Architecture Prize. In 2014, AE Smith’s Queensland Construction team managed delivery of a world-class turnkey trigeneration energy plant at the LCCH, a Conrad Gargett and Lyons Architecture design. As the largest of its kind in Australia, the plant’s objective was to increase energy efficiency and energy security as well as reduce emissions for the Hospital, which has been achieved. The world-class central energy plant was constructed and commissioned by AE Smith, occupying 4,500 square metres across five stories, meeting all the power, heating, cooling and steam requirements of the hospital, research facility and planned future buildings. To make do with project time constraints and help compress critical time paths, AE Smith invest heavily in prefabrication techniques and technologies. Well done to the AE Smith Queensland team for all their hard work and commitment to safely delivering the LCCH project for our client.